Would you like to step back in time and relax among unspoiled natural wonders? 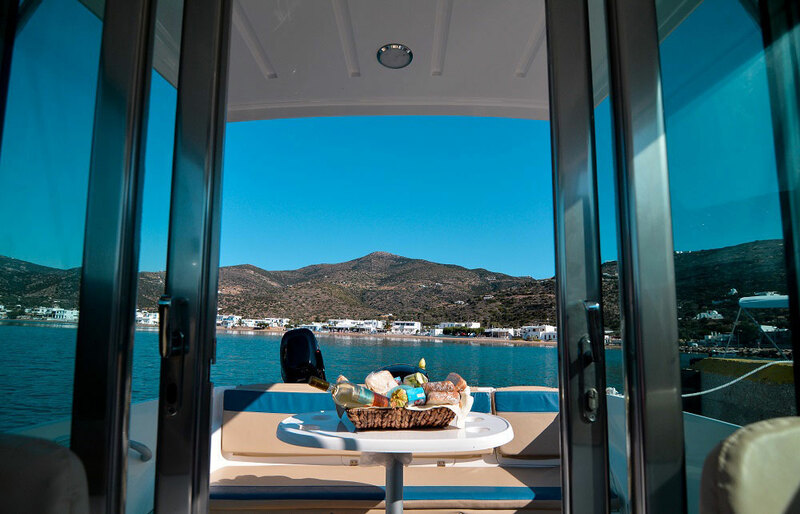 Sail from cosmopolitan Paros to the tiny and intrinsically beautiful islands of Kimolos and Polyaigos and spend your day discovering the geological marvels, sparkling bays and sapphire waters of these Cycladic gems of indisputable beauty! 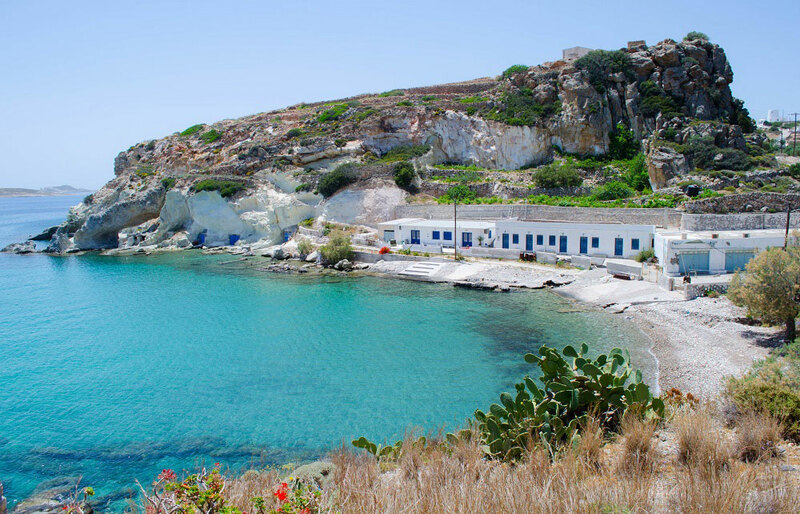 In this full day excursion, you will depart from Paros and head towards Polyaigos islet. 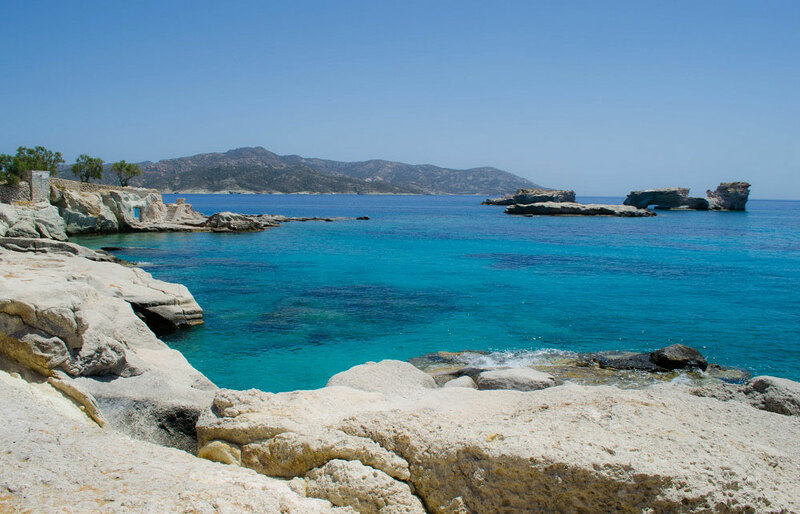 You will first sail at Fanara cave to take some pictures and admire its crystal clear blue waters, the colors of its walls and the hole on its roof. 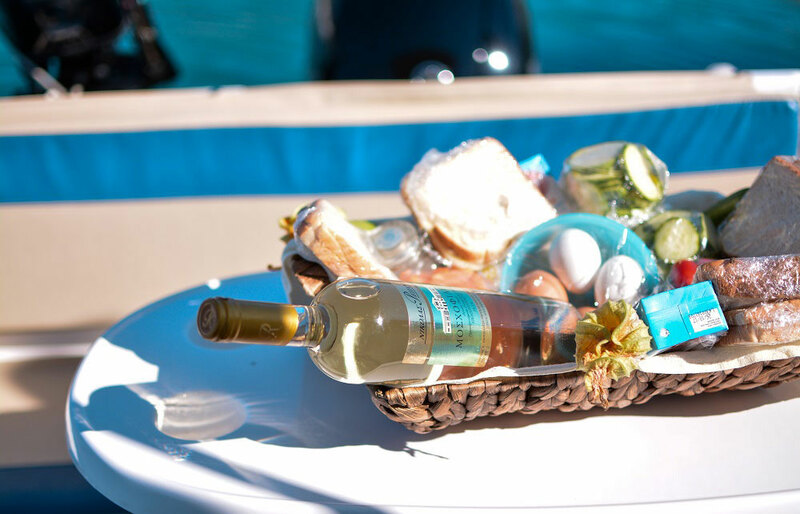 You will then continue your trip by visiting the bay of Faros and swim in its amazing turquoise waters. 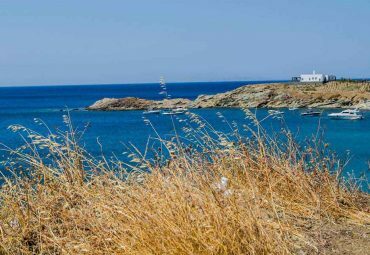 There you will also find the famous and much photographed lighthouse of Polyaigos, built in 1898 at about 130 meters above sea level, and a small lake that is attracting wild goats. 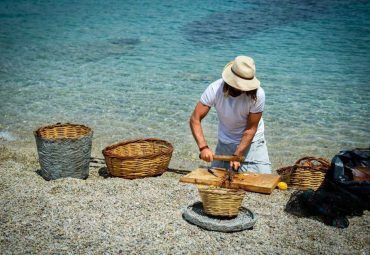 Next, you will make a stop in Kalogeroi bay, where you will meet white and pink pebbles and beautiful rocks surrounding the bay. 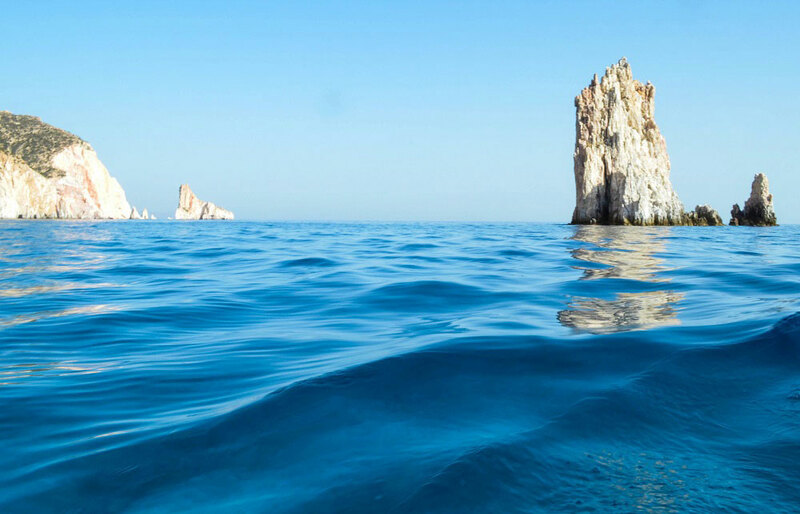 From there you will sail to the southern side of Polyaigos, passing by a series of rock formations and reefs which are a challenge even to a very good captain. 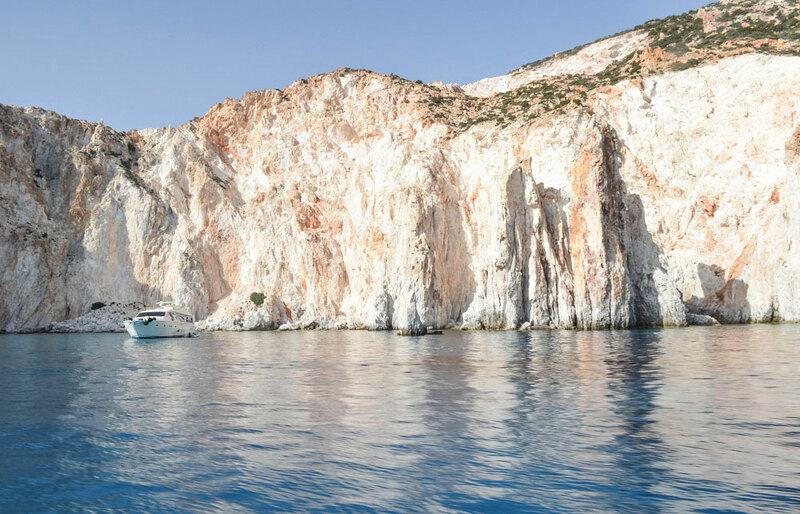 Soon you will sail by the ruins of the old mines of Polyaigos and continue to enter the island’s sea caves to see their wonderful waters. 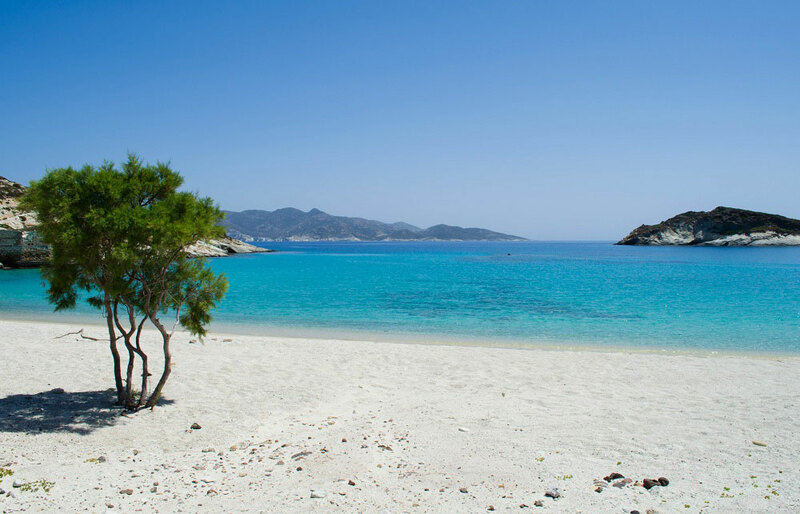 Later, you will make a stop at the beach of Mirsini to swim in its crystal clear calm waters and relax while enjoying the view of the island of Kimolos. 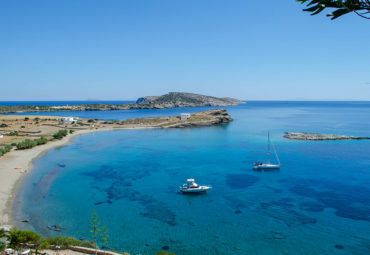 Afterwards, you will head over to the island of Kimolos, where a stop at its port is recommended, if you wish to have a coffee or lunch. 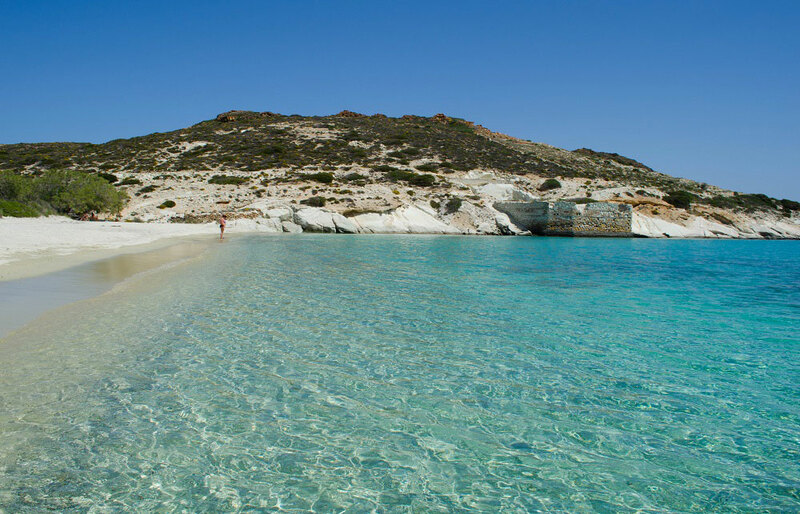 Before heading back to Paros, you will also have a chance to cruise along the wonderful beaches of Kimolos, like Goupa Kara, Agios Minas and Prassa, which is considered the most beautiful beach on the island, and make a stop to swin in their turquoise waters. 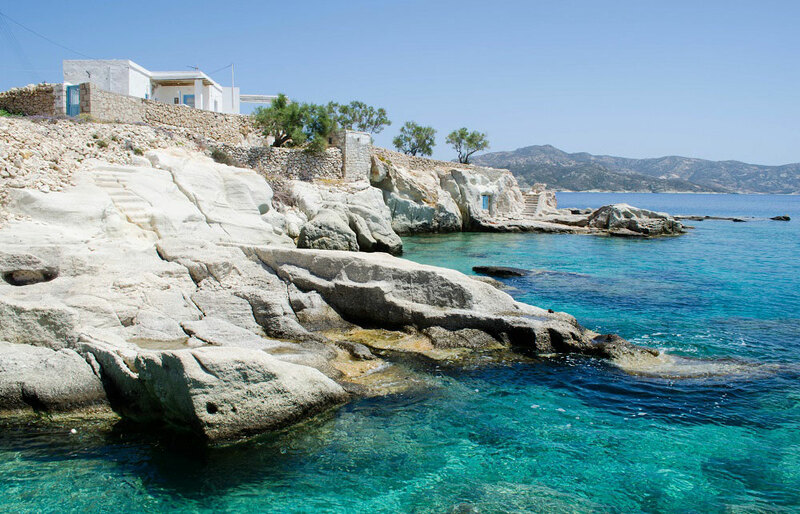 Sail from cosmopolitan Paros to the tiny and intrinsically beautiful islands of Kimolos and Polyaigos and spend your day discovering the geological marvels, sparkling bays and sapphire waters of these Cycladic gems of indisputable beauty! 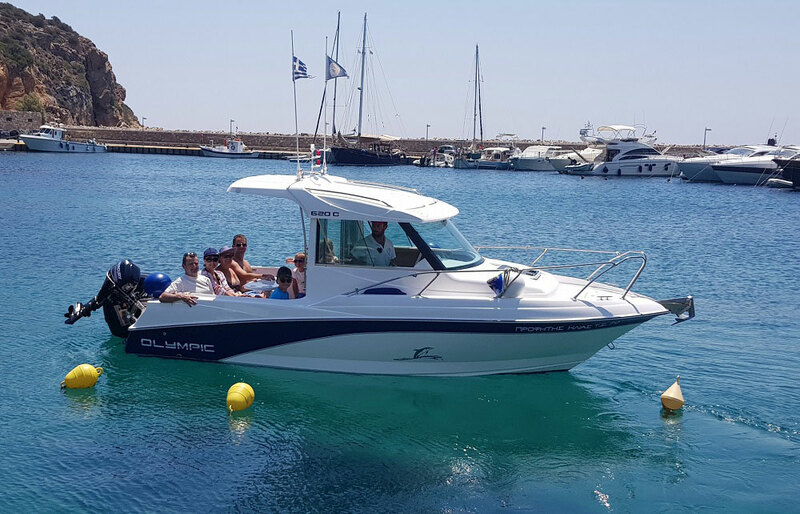 Choose between a morning or afternoon cruise depending on your preference! 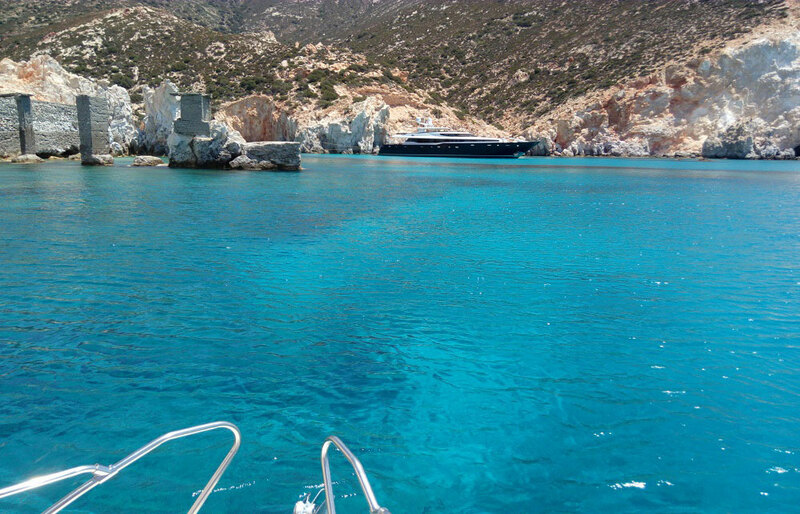 This trip will leave you with some unforgettable memories of Greece…geological marvels, lunar rock formations, fantastic chalk colored soils, sparkling bays and turquoise waters just to name a few!! A must see! !